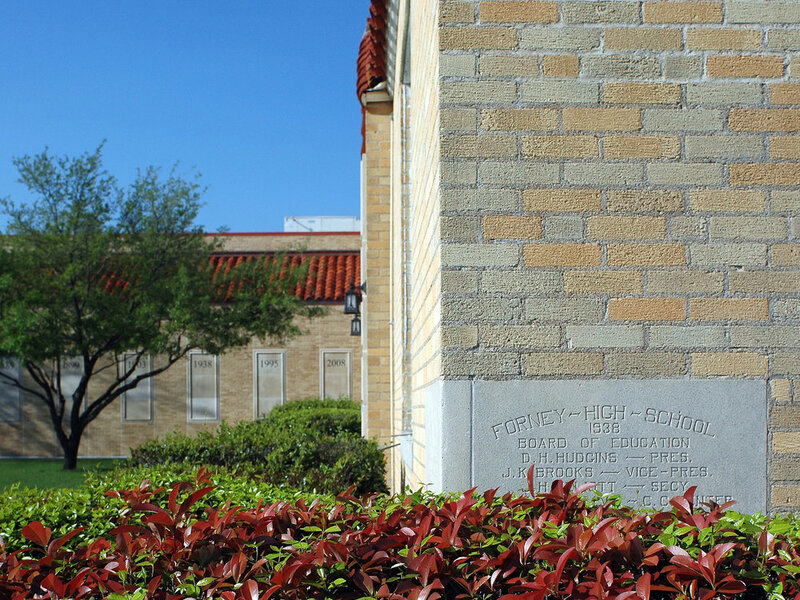 Constructed during the WPA and opening in 1938 as Forney High School, the current Forney ISD Administration Building is a Registered Landmark. WRA renovated the building in 2008 and worked with the Texas Historical Commission to comply with State historical preservation requirements for the landmark building. A new office wing matches the original building's appearance. A new enclosed courtyard was created for use by teachers and other District staff. Old windows were replaced with energy efficient wood framed multi-light units to match the appearance of the original windows. New HVAC and electrical systems were also included.